Moisture curing, polyurethane expanding foam, specifically developed for filling gaps around roofing and insulation materials. Resistant to water, heat and ageing. Excellent thermal and acoustic insulation values. Can be cut, sanded, plastered and painted after full cure. 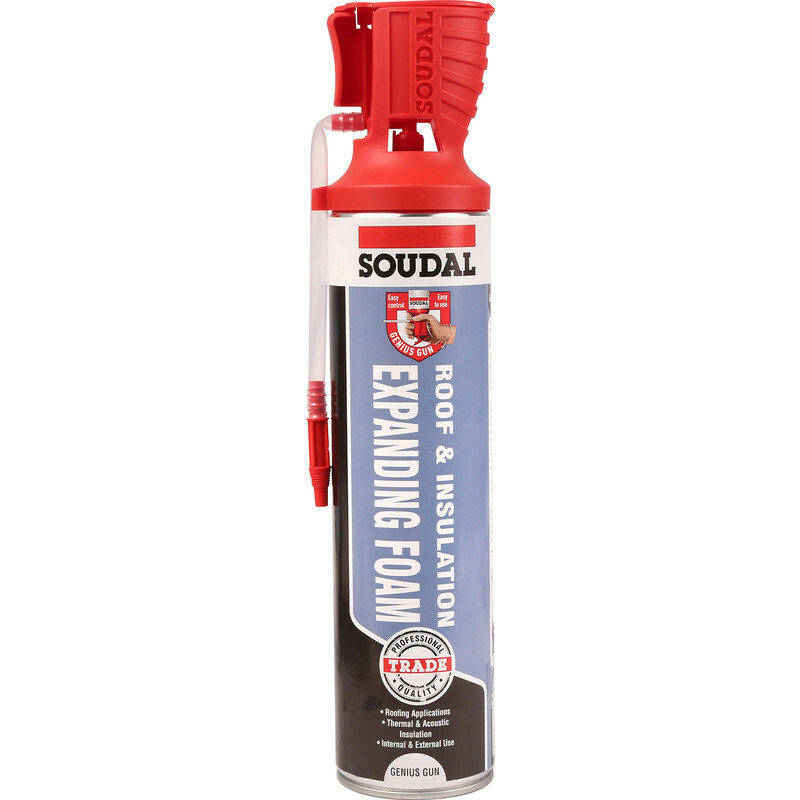 Soudal Gun Genius Roof & Insulation Foam 600ml is rated 5.0 out of 5 by 1.